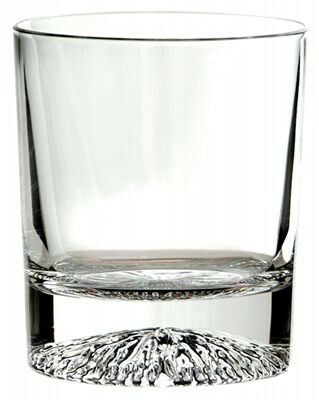 A lovely 8oz whiskey glass, designed so that the base is curved and ribbed which gives an iceberg effect when you look directly into the thick base of the glass. When you look into the glass the pattern reflects up the glass. 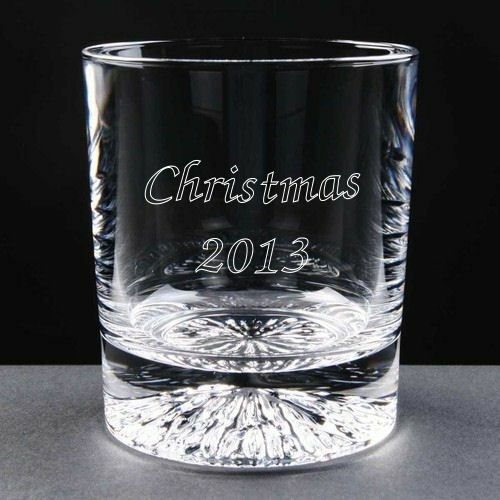 We will engrave this glass with any message of your choice. 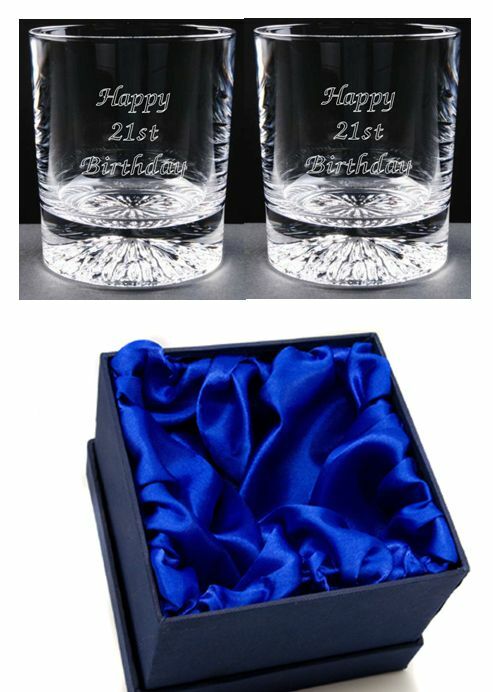 Available as a single glass or a pair, they are supplied in a blue silk lined gift box. 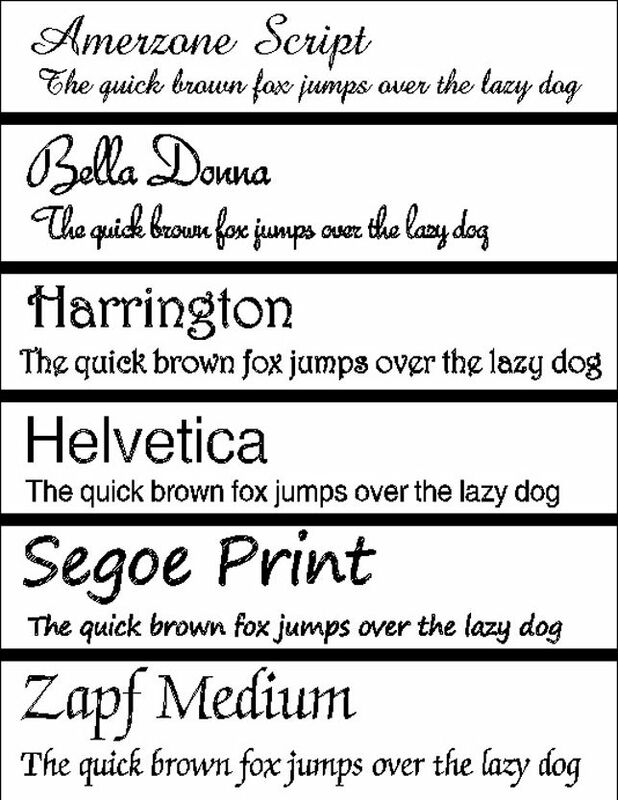 Available in six vibrant colours, each glass contains a colourised bubble base in black, blue, green, orange, purple or red. This beautiful old fashioned whisky tumbler glass is ideally proportioned for relaxing with a generous measure of your favourite whisky but is also ideal for other spirits. This beautiful glass heart shaped keepsake is perfect to hang on the tree this Christmas. These beautiful oak finish photo frames are a stylish way to display any cherished photograph.